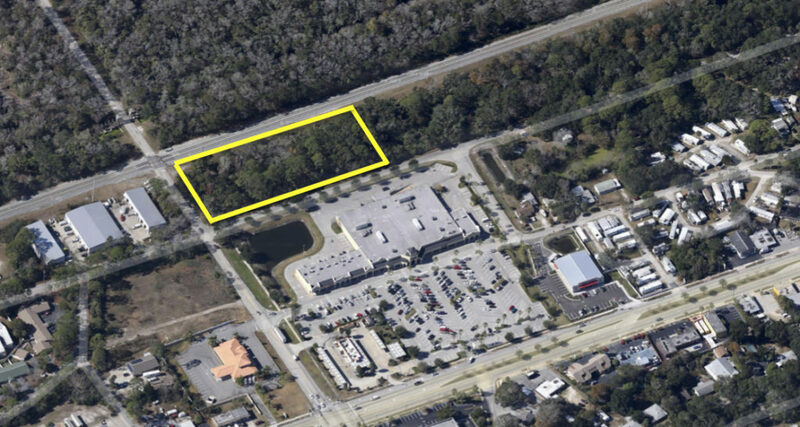 SVN Alliance is pleased to offer the development site located at 1201 S. Atlantic Ave in Daytona Beach. 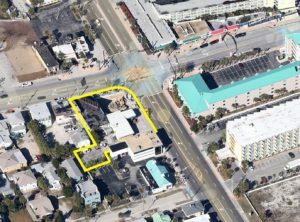 This is a corner parcel at the signalized intersection of Silver Beach Blvd and Atlantic Ave. Silver Beach is one of the thoroughfares that connects to the mainland via bride. The bridge is currently undergoing a $38 million dollar reconstruction. 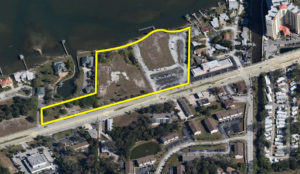 The site features 335’ of road frontage, 225’ along the seawall, and is on average 270’ deep Current owner had pursued plans for a condominium project on the site, but there are no active entitlements on the parcel. 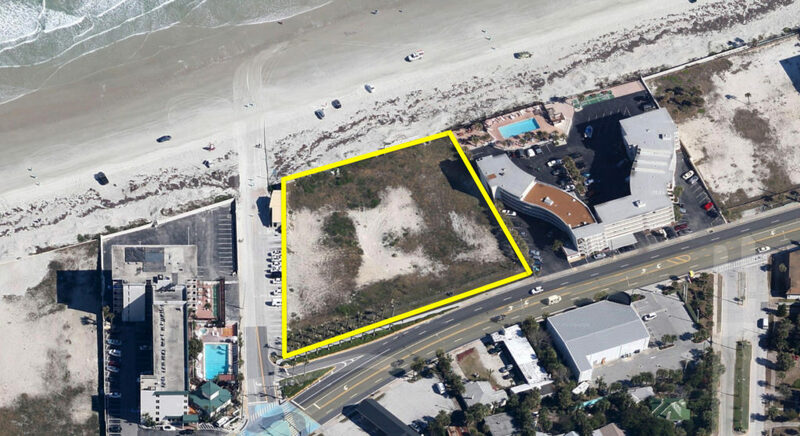 Given the location and proximity to the convention center this could be either an excellent condo development site or hotel site.Density in the City of Daytona is 40 units per Gross acre, however via the PUD/PRD process higher density is easily achievable. 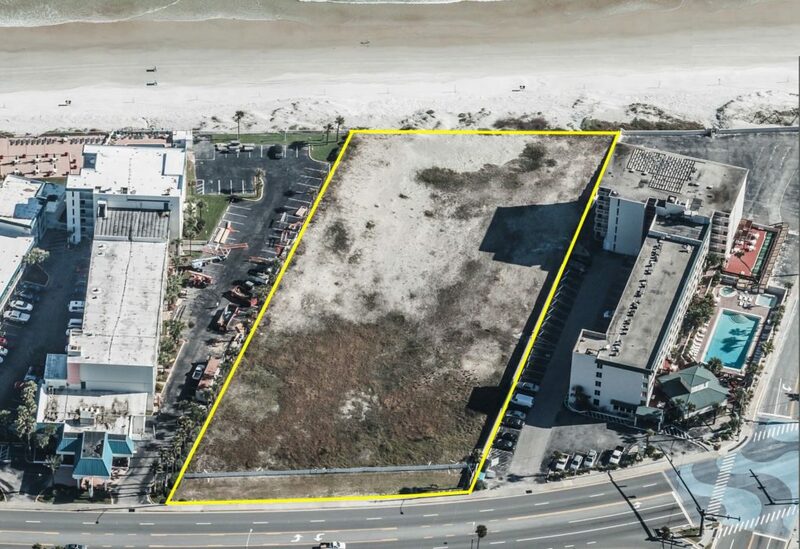 On the subject of building height, the City of Daytona Beach does not have any set limits to height. 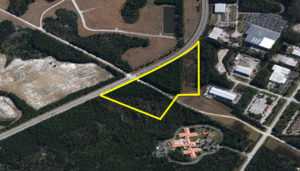 This parcel is between right in the center of two great new developments; This parcel is just six short blocks north of the new Max Daytona condominium project (MaxDaytona.com). Also just to the north at 500 S. Atlantic is a recently opened(Jan ‘18) restaurants park with Landshark Bar & Grille and Cocina 214. 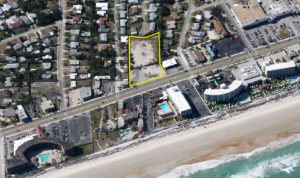 The Daytona Beach area saw substantial new condo development during the last cycle at the southern end of the peninsula. 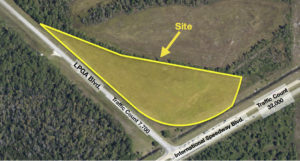 This is a unique opportunity to control a well positioned site on the south side of Daytona Beach. 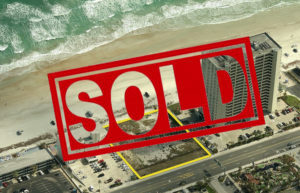 A buyer will be positioned to deliver high quality convention hotel rooms as well as premium residential units to meet upcoming demand.